LG Chem seeks to build another battery plant in Europe. March. 05, 2019 07:35. by Ji-Hyun Kim jhk85@donga.com. LG Chem, one of the largest chemicals companies in South Korea, is reviewing a plan to build a battery plant in European countries, following their manufacturing expansion in Poland. “It is not fixed yet, but following the expansion of our production capacity in Poland, we are making a multifaceted assessment on a potential construction project of plants in other European countries,” said an official from LG Chem on Monday. Early last year, LG finished construction of battery plants in Wroclaw, Poland, and it made an additional investment worth 571 million dollars for the expansion of manufacturing capacity there in November last year. 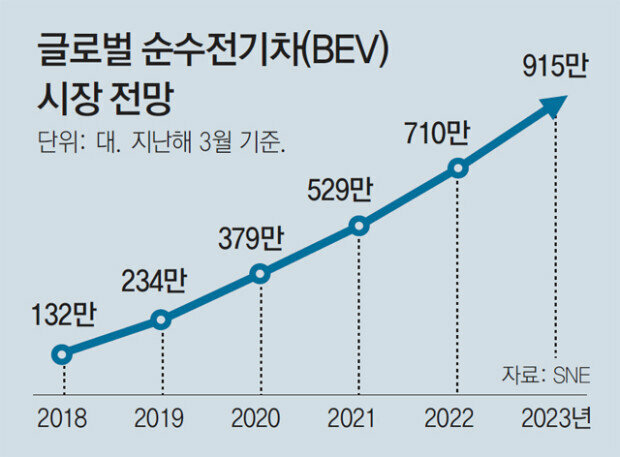 The South Korean company is seeking to boost their global battery production capacity from the current 35GWh per annum to 100–110GWh by 2020.